Long ago and for many years, I was an apprentice in a world renowned herb shop. Besides the local customers, we were visited by foreign dignitaries and royalty, witches, voodooists, etc. from all over the globe. We'd sit in rocking chairs at the back of the shop and talk. Sometimes old, unpublished written works would brought in to share. I learned a great deal and took copious notes. Those notes were later lost in a fire, but much of the information is still in my head. Certain herbs (or oils) act as a catalyst to other herbs. They provide the "kick in the pants" that power up the formula. Other herbs act as "focusing" herbs. You combine various herbs into a formula and then add one of these herbs to bring them together and "focus" the intent. Some herbs are "re-focusing". They help to change the vibration in a given situation and shift it elsewhere. Then there are herbs which are "Controlling, Compelling or Commanding" - used when you really need to assert your will over a situation. And some herbs are "Power" herbs - they boost and enhance the witch's own innate power. Ague Weed: a protection herb. Also called "Boneset". Angelica: highly protective. In fact, sometimes too effective! Carry as an amulet. Also used in exorcism. Brewed into a tea and sprinkled in the corners of a house to keep evil away. Can be used at the beginning and closing of rituals for blessing and banishing. Also called "Archangel". Anise: Raises vibrations to the highest possible psychic level. Good for bringing about changes in attitude (re-focusing), for astral travel, dreams, crystal gazing and meditation. In a pillow, it is said to keep away nightmares. For any type of clairvoyance or divination or mental exercises. Anisette (liquor) is used during Voodoo initiations to anoint the head. Ash - Very protective, cleansing and refocusing. Asafetida: one of the strongest banishing herbs (also the stinkiest!) . Burned to drive away evil and destroy manifestations. Used for exorcism and purification. Alfalfa - for success in money matters. Used for money drawing and to insure against poverty. A traditional "luck" herb. Not powerful enough to be used alone, this herb "plays well with others" helping to reinforce other luck and money herbs while adding a bit of protective insurance. Allspice - a catalyst. Works on higher planes for good or evil. Tends to affect the mind and thoughts of the person on whom it's used, for instance luck or success in the form of a brainstorm. Frequently employed in luck, love and psychic areas; also good for money and general success. Althea - (marshmallow root) mild and gently commanding. More of a "persuasion" herb. Burned in combination with other herbs, for example w/ roses and apple blossoms for a subtly forceful love incense. Said to be a particular favorite of "nice" spirits. Ambergris - (the real stuff is illegal and unethical to use! However, a good quality synthetic seems to work well) A strong sexual compellent. Used to lend power to other herbs. Bergamot- brings luck through intuition. Balm of Gilead: Highly protective power herb, especially in love matters. Energizing and grounding at the same time. Barberry - used for hexing. Brings bitterness, sourness. Sprinkled around the premises to bring bad vibes and quarrels. On the flip side, it is used with vetivert and Bay leaves to protect against bitterness - but that's risky. Said to work for good grudgingly and delights in hexing. Bayberry -very powerful for hexing when combined with other hexing herbs. Casts a gloomy depression. Conversely it is also used for money and prosperity - especially collecting money that is owed. Often used as an Attraction oil for men. Basil - for money and success. Soak in water for 3 days, then sprinkle about a place of business. Also used for purification and protection and to remove obstacles in love and create harmony. Dispels melancholy and attracts friends. 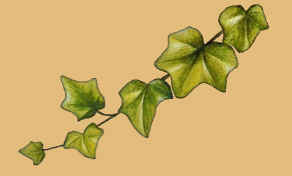 Benzoin - added to other herbs to focus their energies and lend power. Used for communication and improving the thought processes. Combine with cinnamon for business success. Also used for purification. Can be added to an incense to heighten its effectiveness. Never add to hexing herbs! Bergamot - protection and prosperity. Brings luck through intuition. Used with other herbs to bring psychic and prophetic dreams. Blueberry: Protective and associated w/ treachery and deception. It does not return the treachery - just keeps it from reaching you. Bindweed: for binding another. It smothers the intentions of others. Used in both hexing and protection. Bistort: used for fertility (often carried to help concieve a child) Also used for money drawing when combined with Juniper and Allspice. Also good for divination. Broom Tops: purification, protection, to raise and calm winds. Throw into the air to raise the wind; burn the herb to calm them. Also boiled in salt water and used to keep poltergeists and evil spirits away. Black Snakeroot: an X-rated love herb, often used by men. Also to destroy unwanted love (burn with artifacts of the person whom you want to leave you alone) Also burned with adam & eve root to make love spells more effective. Chamomile: excellent for luck, prosperity, money and gambling. (Wash your hands with the tea before playing cards.) Calms the nerves and gives energy in adversity. Often used in Uncrossing formulas. Caraway Seeds: protective, particularly in the area of health. In love - is said to attract a lover (in the physical sense) and cure fickleness. Also used to strengthen the memory. Carnation: protection and spicy energy. Add to a Power incense or toss into a formula where you want to "spice" things up a bit. Camphor: to totally cleanse and banish. Used to ward off unwanted advances from others, in healing and to stimulate psychic senses. Cardamom: a love herb, used for Romance. Has some commanding and compelling properties in the area of love. Also acts as a catalyst to other herbs. Civet: (another illegal and unethical oil. Again: use a good synthetic. It still works!) a commanding and compelling ingredient (especially in love). Powerful, non-selective . Often used in Power oil. Clove: a strong, forceful, compelling herb. Commanding. Acts as a catalyst when combined with other herbs. Used when force or power is required. Cinnamon: a catalyst that doesn't mind baneful recipes. 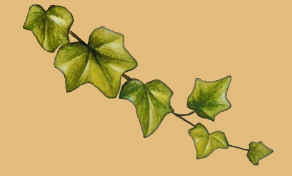 Used in money drawing, for concentration and spells for love and passion . Sometimes used in healing or clairvoyance. Cherry Blossoms: cheerfulness, light heartedness and good humor. Associated with honesty. Good for concentration in study. Capsicum (Cayenne): a catalyst of great strength and negativity. Chili powder works similarly, but has more to do with controlling that activating. Used to reverse evil and return it to the sender. Coriander: used for love, yet Very protective in these matters. Good for people who want a somebody, but aren't sure who. Added to Perfect Mate recipes. Works for slow, steadily developing relationships. Citronella: for attraction. Good for attracting friends and business. Cumin: attracts peace & tranquility when sprinkled across doorways each Sunday before noon. Used also to control infidelity and in this way has a gently binding effect. Calamus rt: a controlling herb, powerful enough to be used alone or in combination with other herbs. Use to control a person or situation. Calendula: induces dreams. Used for legal difficulties and for money. Has a mild, gentle action. Add to the bath to win admiration and respect from others. Dogbane: swings both ways - it can be used to remove deception or to create it, depending on which herbs you combine it with. Dill : has the ability to lull or defuse a situation. Often used to calm children. Devil's Bit: commanding and compelling. May be used to command or compel love, luck or success depending on what it is combined with. Protective, it works similarly to Low John. Dragon's Blood: Power and protection. Thought by many to only work for "good". That's nonsense! It's uses are almost limitless. Elder: a commanding herb which influences a situation (or person) on a subtle but powerful level. Also highly protective. Elecampane: for love charms of all kinds. Fennel: a controlling herb and also a "twisting" herb. Better for removing hexes than protecting against them. It's action is unpredictable. Use this when you want to effect a change in a situation. If you're familiar with astrology, think of the influence of the planet Uranus here. Frankincense: associated with the male principle as Myrrh is associated with the female principle. A mixture of both in an incense creates a balance. It is a good "white" magical base to receive other herbs or oils. Often used for protection or in money drawing recipes. Long used as a divinatory offering, in consecration and to raise the spiritual vibrations of a place. It aids in meditation and is used to obtain blessings and general prosperity. Five Finger Grass: (cinquefoil) Old standby for money spells. In fact, most money incenses don't seem to work as well without it. Combined w/ soot, it has been used for hexing. It has also been used for protecting. Often used as a bath herb toward this purpose. Works better for protecting against negative influences than removing them. Fenugreek: a seed of the sun, used for all manner of luck and success spells. Frangipani: an attraction or "drawing" herb. Use to bring things to you. Also used to command trust and gain the confidence of others. Foxglove: exposes lying and forces honesty. Grains of Paradise: carry strong luck connotations. Galangal: highly versatile and only slightly less powerful that High John or Jalap. Known as Low John, its action never proceeds in a straight line, but takes on unexpected twists and turns. It accomplishes its functions through devious means. Creates a powerful force for affecting change and is often used in legal difficulties. Ginger: basically a fiery catalyst but also used to induce passion. A good catalyst to add to formulas for romantic love. Geranium: used to lift the spirits and banish negativity. Protection, love, healing and fertility are all in the domain of this herb. Heliotrope: another sun herb. Carries a vibration of luck. Attracts wealth and protects against physical harm. Used in healing, clairvoyance and finding lost objects. Honey: binds and attracts, seduces. Often used in incense to bind the other ingredients. Honeysuckle: attracts friends, business and instills confidence. Used for money, prosperity and clairvoyance. Traditionally symbolizes the "bonds of love" and is excellent when working on a problem of infidelity. A potent and sneaky commanding ingredient - the iron fist in the velvet glove. Hawthorn: used for protection, purification and banishing. Some identified it as "the tree of hope" and to the Romans it symbolized marriage. Hazel: used for wands but also for reconciliation. Quickly lessens hostilities between people. Two twigs tied together w/ red or gold thread to form a solar cross were used for a good luck charm. Draw a circle around you with hazel if in need of protection. Used for fertility and wisdom and in divining rods for finding lost objects. Hellebore: works similarly to henbane but likes to pull the rug out from under the operator so use with caution! Hyacinth: used to transmit on psychic planes a feeling of joy and playfulness. Frequently used as a follow-up to uncrossing rituals to replace negative vibes with positive ones. Attracts love, luck and brings peace of mind and restful sleep. Hyssop: anointing, blessing, consecrating, protecting and purifying. Irish moss: a success herb w/ long term benefits. Slower in action but good for secure and steady growth of prosperity. Jasmine: essentially a seduction herb. More sexual than romantic. Symbolizes the mysteries of the night. Sometimes used for meditation, to relax, for dreams or even to aid in childbirth. In love recipes it is used lightly in combination with other ingredients unless you just want a sexual affair. Juniper berries: a power herb which happens to work quite well in areas of luck, good fortune and success. Legendarily associated with Jupiter, it is often used for male virility. Lavender: cleanses, protects and shields from bad vibrations and negativity. Used for uncrossing and love, it's particularly effective in helping with marital problems or relationships. Soothes problems between parents and children and is an excellent protecting herb for babies and children. Lemon or Lemon blossoms: fiery, zesty and active. Often employed as a catalyst in luck recipes since it sets off other herbs. Also used for "drawing" or "attracting" something to you. Often used in love formulas both for attracting and repelling. Licorice: a commanding herb. Used by the Egyptians as an aphrodisiac. Lemon Verbena: a traditional luck herb, it has the ability to convert bad luck to good. It is positive, protective and cleansing. A strengthening herb added to others to give extra power. Also used as an "attraction" herb. Lemon Grass: used to aid psychic powers. A two-sided herb: on the one hand calming, good for deepening meditation or trance. Excellent to add to a general "Power" formula for general ritual work. On the other hand it has been used by some as a hexing herb primarily aimed at making someone's life complicated and full of problems. Go figure! Lilac: good for inducing "far memory" and recalling past lives. Also good for clairvoyance in general. Brings peace & harmony. Excellent for uncrossing. Tends to promote the positive aspects in the herbs it's combined with. Lobelia: Like most of the poisons, this expresses "hate" while other hexing herbs express "anger, contempt or dislike". Results with herbs like this one are always nasty, but never predictable. Lotus: a common additive to psychic incenses. Said to reach the highest realms of mystical insight. Associated with Egyptian magic. Lily of the Valley: used for calming and blessing. Lime: To keep a lover faithful. Used by men for attracting women. Has some "drawing" or "attracting" abilities in other areas. Conversely, has also been used to "sour" a relationship. Lovage: an "Attracting" herb. Used to draw customers to a place of business or to attract others in general. The root acts as a catalyst to other herbs while exerting a stabilizing influence at the same time. An excellent love herb. The leaf is highly cleansing. Marjoram: protective - especially in matters of love. Often used in love and friendship charms or for protecting the house. Mint: a common additive to love incense - though I don't know why since it tends to clear the head, not fog it. Spirits love the scent of mint and a dish set out will tend to attract them. Used in prosperity and money formulas. Also excellent for psychic matters and studying. Mistletoe: Although used in many love recipes, it is really a commanding/compelling herb. Used since ancient times for protection. Musk: (real musk is illegal and unethical to use. A good synthetic may be used instead) commanding and compelling, particularly in sexual areas. Help for self confidence, assurance and strength. Myrtle: love, fertility, protection and healing. Masterwort: power, strength and courage with good protective qualities. An excellent herb to use in plain "Power" formulas. Mimosa: a commanding herb which also inspires courtesy in others. Use to anoint purple candles. Used to bring prophetic dreams and in healing. Motherwort: a protecting herb which works almost Too Well - indeed, rather like a mother who will often protect you even against things you don't want protecting from. Mullien: lends courage in difficult situations. Tends toward the ""somber side" often substituted for graveyard dust - often used when a matter needs to be "laid to rest" . Neroli: (bitter orange) a magnetic oil used for attracting. Orange or Orange Blossoms: attracting, drawing, used to bring things to you or into your life. Works better than lemon or lime in this sense, The blossoms especially are used in attracting love. Orris: a focusing herb, used to focus the power of other herbs it is combined with. Also used as a "love herb"
Oakmoss: a power herb which belongs to Jupiter. Pennyroyal: Cleanses and protects. Brings harmony and is helpful in times of domestic unrest. Peppermint: use to create change and get things moving. Pine: excellent for cleansing and uncrossing, protecting or refocusing. Energizing and grounding at the same time. Poppy Seeds: for dreams, visions clairvoyance and dark moon activities. Also used for fertility and prosperity. Rose: love. What you mix with it determines the kind of love. Rosemary: binds things (or people) together in a loving, gentle manner. Used in pillows for dreams and visions. Also used for purification and protection, mental alertness and stronger memory. Often used in sea rituals. Rose Geranium: powerful protection and subtly commanding. Reverses misfortune and can be used with other herbs to bless a new home. Rue: highly protective. Guards against negative energies and gets things moving in a positive direction. Often used in consecration rituals. Sassafrass: Commanding and twisting. Used to free you of another's power over you or in legal battles for a favorable outcome. Slippery Elm: a highly focused protection herb, especially effective at controlling gossip or slander. Snakeroot: "psychic divorce" herb. Use when you want to be ride of a person or thing. St. Johnswort: emergency first aid protection herb. Works quickly to reverse negativity and quiet animosity or arguments between people. Tends to absorb and "ground" negative energies. Sweetpea: an attraction oil used to draw friends or lovers, loyalty and affection. Solomon's Seal: an uncrossing herb associated with luck and wisdom. Brings hunches, intuition and dreams. Strawberry: used (sparingly) to draw fortunate circumstances into one's life. Thyme: a favorite with the spirits, it encourages positive vibrations and actions. Used for protection (especially from the negative energy of others), for courage and for cleansing. Tormentil: (blood root) a commanding herb that can be used for good or ill. Often used to command respect. Used equally often in cursing and protection and frequently in love matters. Tonka bean: combination of commanding and catalyst, often used for love or prosperity. Just plain lucky! Protects against poverty. Vanilla: a compelling herb, used in areas of love and money especially. In love, it acts on a more physical level - lowering the guard, lulling the senses and subtly seducing. Vetivert: (khus khus) Excellent for uncrossing, protecting, cleansing and then refocusing. Technically a power herb, it may be used to strengthen hexing formulas but its greatest ability is in Un-hexing. Powerful and efficient. Violet: (Old fashioned sweet violet) for truth. Guards against deception and creates an atmosphere of trust and honesty.